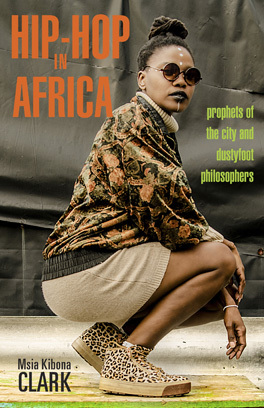 Hip-hop is as much a literary genre as it is a musical one, and as a means of storytelling the medium of hip-hop has lent its ability to convey meaning to both traditional and modern aspects of African society. And with a mic as his pen, P.P.S. the Writah crafts lyrical masterpieces that connect Senegal’s proud traditional history with it’s push toward the future. P.P.S. the Writah, like many MCs of Senegal, showcases his ability to master a seamless lyrical flow in both French and Wolof. In many cases this can also occur on the same track, as is evident on the intro track to P.P.S. the Writah’s album “Sunu Kaddu”, which roughly translate to “Our Words” in Wolof. The track, titled “Préface”, is split into two verses, the first in Wolof and the second in French. The lyrics reveal that P.P.S. the Writah’s decision to switch languages between verses could have been symbolic in relation to the track’s message. The first verse, delivered in the local Wolof, underlines the reverence for tradition that P.P.S. the Writah places on his community as he recalls scenes of his childhood growing up in Rufisque. The visions of children playing, women grinding millet, and the smell of fresh coffee flood his memory. The verse is followed with a short show of P.PS. the Writah’s skills on the drum as we can see him as a part of an percussion ensemble of traditional Senegalese drummers. His next verse is then delivered in french, and the content of his lyrics reflect this change as well. He mentions how he recognizes that his generation is caught between the future and the past, and how he believes this in fact to be a benefit and not a disadvantage to his generation’s progress. P.P.S. the Writah speaks about how the recognition of one’s traditions can help to keep them grounded in where they came from and what they believe, while looking towards the future helps to put it all in perspective and will offer clarity to the difficult situations that his generation has found themselves in. P.P.S. shows how the existence of both the traditional and the modern, symbolized by Wolof and French, can live constructively together to offer a clearer understanding of how to promote progress within his generation. In this way, P.P.S. distinguishes himself not only as a rapper, but as his name implies, also as a Writah. Here’s the video in Wolof and French, with English subtitles!